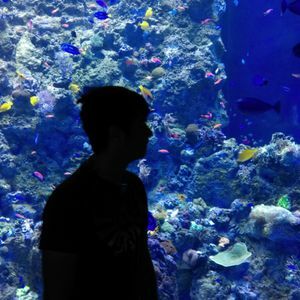 Hey guys, I'm Lee and I'm a Writer, Streamer, Podcaster, and most importantly gamer! Hello and welcome to the channel! I'm Lee and video games have been my passion ever since I've been introduced to them. Alongside video games my other passion is writing. My dream is to blend the two together to become a narrative writer within the video game industry so I can inspire and entertain people the same way others have done for me. As for what games I like, my favorite genres would have to be platformers, fighters and horror games.Overall I'm a pretty chill dude and I want my attitude to reflect the channel so get cozy and just kick back and relax! As for the channel anything goes regarding games but some games that will be prominently featured will be Blazblue and Guilty Gear. I genuinely love these series and aim to improve and entertain at the same time both as a gamer and as a person. If you happen to also own what I'm playing I'll happily play some sets with viewers! If you're down to see a dude get bodied and still be able to laugh it off then you've come to the right place! I'd like to both improve and entertain as a person and as a gamer and establish a nice community where everyone can relax and have a good time. Some of my favorite games/ series are: Blazblue, Guilty Gear, Castlevania, Danganronpa, Ace Attorney, Persona, Mother 3, Donkey kong country, Metroid, Zelda, Kirby, Pikmin, Banjo Kazooie, Shovel knight, Momodora and many more! Report JustLeeBelmont's profile for containing a lack of content. Report JustLeeBelmont's profile for containing unsafe links. Report JustLeeBelmont's profile for containing offensive content. Report JustLeeBelmont's profile for containing formatting errors. Report JustLeeBelmont's profile for containing invalid links. Report JustLeeBelmont's profile for another issue.